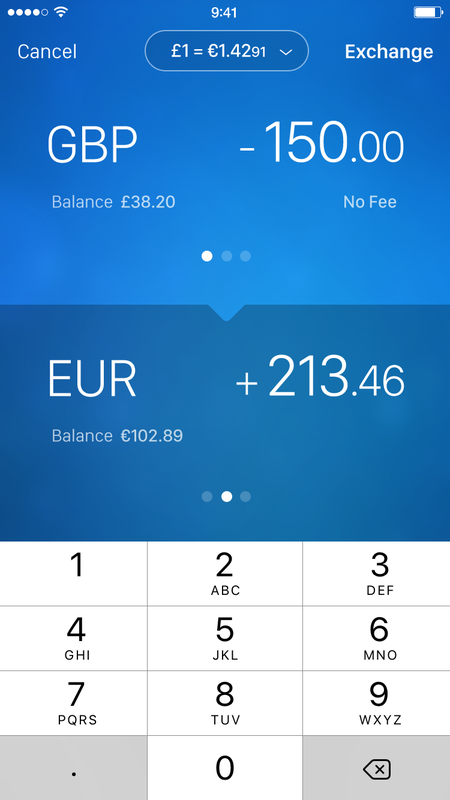 revolut, the app-based bank from Britain, started their operations in Germany and Austria on September 27. The narrative is clear (this is important as I will show later on) and is well summarized in revolut’s claim: “ Revolut — The only account for your global lifestyle”. Concretely this means that you get fee-free purchase and withdrawals for 120 currencies, free money transfers of up to £5,000 per month and you can keep up to 26 currencies in the app which you can exchange without fees. Furthermore, they focus on user-friendliness through insightful spending overview (financial forecasting is planned), immediate balance update, splitting-bills between revolut-users, P2P credits, in-app credit card (un)blocking, instant money transfers and an in-app customer support chat bot. In terms of products you can either use a real or virtual credit card and they also offer an insurance for smartphones. In addition to free services, they have a premium version (6,99€/month) though which you get, amongst others, global medical insurance and 24/7 support. In total revolut hase raised around 80 million dollar and recently $5.3 million of these through equity crowdfunding. They have 850,000 active users who have transacted over $4.2 billion . Now, revolut wants to expand into Austria and Germany. In Germany they want to reach 300.000 customers in the next twelve months. This is an ambitious goal. N26, revolut’s biggest competitor, has only recently reached 500.000 customers across 17 countries and Germany’s ten biggest direct banks (excluding banks from automotive manufacturers) have about 16 million customers. Another goal revolut has set for themselves is “establishing itself as the number one platform for consumers and businesses for managing their finances”. Whatever this means in numbers I do not know, but it means that they want a lot of customers. But Germany’s banking landscape is hard. To put into context how hard, let’s just look at the other major type of bank, branch banks. 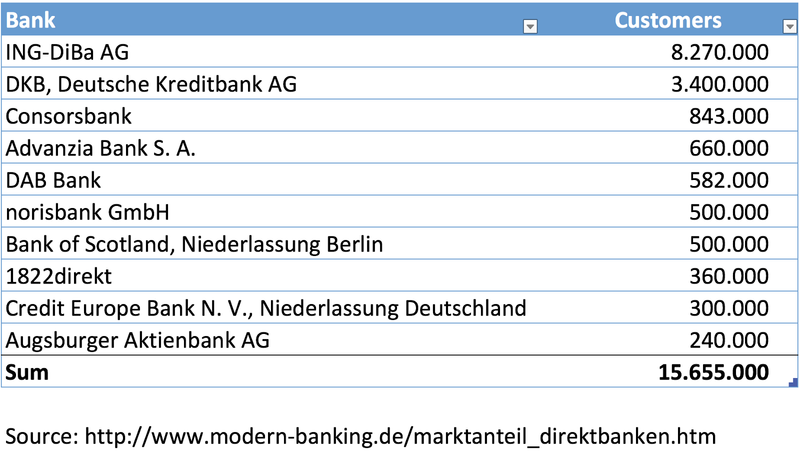 There are around 500 branch banks in Germany, who in total have around 12000 branches and around 40 million customers. To most pressing question on revolut’s way towards platform dominance is the role of these branches. These branches are expensive and by eliminating them, startups like revolut can offer almost all of their services for free. However, there is a certain need for these branches. Firstly, their sheer number implies that there are some people who need them. Furthermore, the cutback of branches has been substantially low at a CAGR of -2%. Furthermore, according to a study by Bain, consumers want them. In another study, around 60% of customers claimed that they do not want to switch their bank — despite being unsatisfied with it — because of their local proximity. Whereas these facts point at the fact that branches will be with us for still some time it merits to take a deep look at the role of branch banks. Crazy about these services is how none of them are branch-exclusive; each of them can also be done online. Of course, some are still more comfortable offline like a personal consultation but the overall message is clear; local branches are unnecessary. Another factor playing a role in the the importance of branches is their growing portfolio; the more they offer the more consultation customers would need. One way to combat that rising need is to eliminate the need for it in the first place. InsurTech provides an interesting example for that (link to an article I wrote about InsurTech). Whereas with InsurTech startups like allesmeins or asuro you insurance-consultation through video, Zenefits makes eliminates the need for a consultation in the first place by making their offering easy to understand. Furthermore, video consultation or other online means of communication are solid alternatives to local consultation. Another way to look at this development is through the lense of disruptive innovation. As direct banks have been around for over fifty years, it might sound weird to talk about them as a disruptive innovation, but following Christensen’s definition (“a process by which a product or service takes root initially in simple applications at the bottom of a market and then relentlessly moves up market, eventually displacing established competitors”) that is exactly what they are. Here, the simple product are current accounts offered by direct banks without consultation and they are moving up market by adding more products, virtual and artificial consultation. The narratives are clear: with a few exceptions incumbents focus on free banking while N26 and revolut are the only ones with a distinguished lifestyle offering. The trouble I see with that is that I think people do not want a “lifestyle bank” because they do not care about banking. They want lifestyle clothing, phones, or cars, but banks should be cheap and trustworthy, they should just work. And this what makes banking so interesting right now. For years banks have focussed on being trustworthy and building their brands. Then come along startups like N26 and revolut who realized that free banking has become something people take for granted and, therefore, they created products which are free and on top of that easy to use (N26) and made for cosmopolitans (revolut). And their customer base reflects this niche strategy; assuming that N26 has 400.000 customers in Germany (out of the 500.000 they have in total) they have 1/20th of ING-DiBa’s 8 Million. revolut’s 50.000 customers in Germany reflect that niche perspective even more. Disruptive innovation teaches us that this is fine; over time these lifestyle banks are adding products to eventually break out of their initial market and start taking customers from incumbents. With N26 we can already see that. In the beginning their value proposition was free and smartphone-only. As most other banks were free as well or had low fees, smartphone-only was the sole differentiation. A very limited market. Also, smartphone-only is basically offering an easy to use app. N26, customers are starting to take mobile for granted (like they did with online banking) and other banks are slowly adding them to their porftolio as well. Based on this, N26 started moving upwards by adding other features such as insurance management or a savings account. From this perspective N26’s strategy has not yet played out; they showed big banks what people want (an app) and these banks followed and developed banking apps. Now, 26 is taking their fight on two fronts; on the one side they are competing with incumbents by offering products customers expect (e. g. a saving or investment account). On the other side they are “disrupting” by adding features such as insurance management. The situation with revolut shows similarities. The environment shapes customers expectations. In 2012 the financial crisis was still in consumers mind which is why they mentioned safety as the most important aspect a bank should have in a study conducted by Bain. A few years prior it was rate of return. In regards to revolut it is similar. 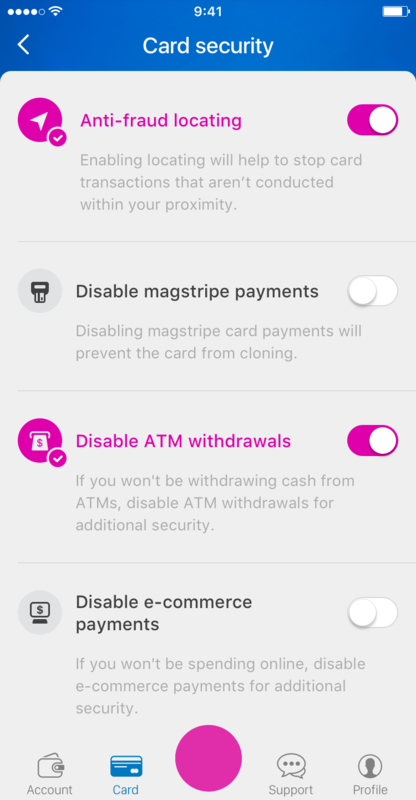 The usefulness of revolut’s “global lifestyle“ value proposition depends on the economic situation. Traveling and economy are positively related (if we are in economically good times, we travel more). Furthermore, I think that traveling as a culture phenomenon (for instance in form of a gap year) is of temporary nature. Depending on how much revolut’s customers are driven by this culture phenomenon, this trend could pose a huge threat to them. All in all the question then is whether in banking we will have a cost- or value-based differentiation. I think that most customers will be acquired through marketing (and these customers will probably be first-time bank users) because certain differentiating features like smartphone-banking will diffuse across all banks and people simply do not care about banking that much. ZENJOB, a German tech company matching companies with temporary employee shortages to students, is another company that I think does a great job at questioning an industry’s core. Usually students cannot earn a premium due to oversupply. However, by targeting companies with urgent employee needs ZENJOB can charge these companies a premium for something only students can offer, namely flexibility. The previous version of the chart was wrong, thanks to quox for pointing out!